Good posture is not just about appearance. How we stand, sit, and walk affect both our moods and our health. They cause neck pain, back pain, and all sorts of other problems. 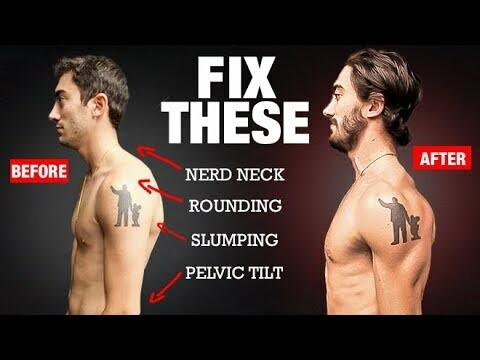 So stop slouching and get back your correct postures with these posture correction tips. These methods can attack the most common posture flaws to give you a nice, tall, upright posture sooner than you think. Come and learn how to hit correct rounded shoulders, a hunched back, crooked neck, forward head and tilted pelvis, and how to improve your posture naturally. When you apply these easy methods you will start to feel better almost instantly and work towards permanently fixing your bad posture. A well designed back brace can help you stand straighter and relieve your back and shoulders by providing the support you need instantly. Avoid keeping a bad posture for long period of time.